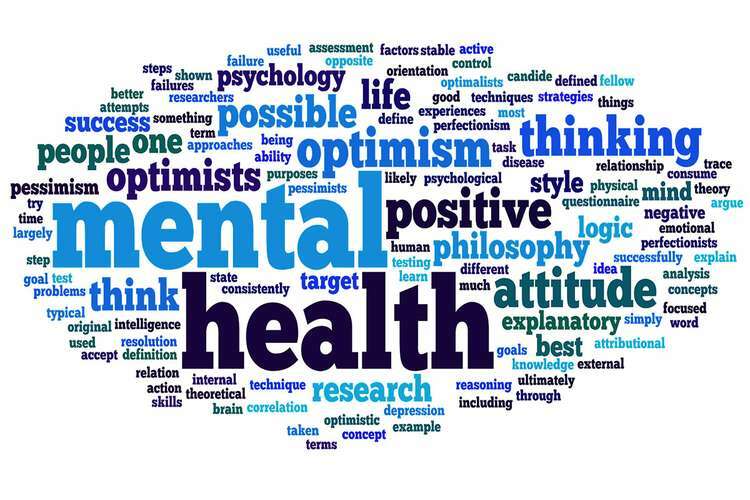 Concerning the field of nursing, the activities pertaining to the treatment of a mental health patient is imperative for the provision of betterment in the quality of life, for which, the conductance of sound assessment is of utmost importance. The assessment of a concerned patient comprises of the primary step in future treatment procedures and involves the methods of collecting sufficient evidence concerning the persisting symptoms. The following paragraphs of the nursing mental health examination and screening sheds light on the case study of Harry, his required screening and examination of the current symptoms along with the necessary intervention business strategies, followed by a nursing report summarizing salient features of the same. Comments: As per the above screening section, it is evident that Harry, and eighteen year old adolescent studying in high school, is devoid of suicidal thoughts or performance of such activities. Comments: Upon analyzing the above screening, it is evident that Harry exhibits considerable violent behavior, without any particularly seriously reason. He is also afflicted with delusionary symptoms of considering himself to be invisible, as well as believing that his younger brother was necessary for his illness. He also refused to come to terms with treatment even after admission. With examination of his family background, it seems that Harry’s delusionary psychotic behavior is due to substance abuse of paraphernalia. Comments: As per the above screening, it is evident that Harry is not devoid of social or familiar support, since upon admission his mother displayed considerable concern and awareness regarding the prolonged persistence of his symptoms. However, his physical health seems to be at risk due to the presence of self-neglecting delusionary behaviours where he was found standing in a busy street, which may cause physical harm. Comments: Harry seems to have not received previous mental health treatment plans, or exhibited past activities of absconding. However, he refused to acknowledge any further treatment plan with the hospital officials. Protective factors: Harry does not own the responsibility of any minor. However, he lives in contact with his younger brother, with whom he seems to be skeptical. The patient appears to often remain silent and submissive, followed by sudden onsets of excitability. Patient tends to exhibit fluctuating behaviors, upon being silent and melancholic and then switching to aggressive violent behaviors for no specific reason. Patient display normal speech, with however, hysterical modes of screaming and laughing during exhibition of violent, defiant behavior. Patient presents fluctuating moods of violence and submission. The patient is afflicted by delusionary and behaviors of paranoia where he believes that he is invisible and his younger is the cause behind his suffering. The patients thought process seems to be psychotic and delusional, as he was found in busy street with the confidence that he his invisible. He further engages in thoughts of paranoia where he perceives his younger brother to be the culprit behind his illness. The patient exhibits distorted perception as evident from his conception, concerning his abilities to be invisible. The patient exhibited significant decline in cognition, as reported by his mother concerning his detrimental performance in academics and social interaction. The patient’s judgment seems to be distorted as evident from his acts of risking his life by standing in the middle of busy traffic. The patient was observed to display faulty insight, with further decline, as reported by the patient’s mother concerning his decreased academic performance and social interaction. The patient’s sense of judgment seems to be impaired as evident from his engagement in distorted perceptions about being invisible. Development of empathetic and trustworthy relationships with the patient (Price et al., 2018). Usage of reflection and engagement of patient to undertake self-care tasks (Heckemann et al., 2015). Conductance of group discussions to identify factors triggering patient drug abuse (Gonçalves et al., 2015). Imparting adequate education concerning the negative consequences of drug usage (Brady, McCauley & Back 2015). Deliverance of anti-psychotic drugs (So et al., 2015). Encouragement of social interaction to reduce symptoms of social isolation (Crespi, 2016). The above paragraphs attempted to shed light on the salient features concerning the examination and screening of the patient Harry. The following report will focus on highlighting the key aspects with regards to his treatment, based on his ongoing symptoms and the resultant attitudes and behaviors. Concerning the situation in which Harry was uncovered, it is evident that he is displaying psychotic, delusionary behaviors, which is evident from his preconceived notion of considering himself to be invisible and a result, free from harm. Due to these considerations, Harry will be susceptible to displaying behaviors pertaining to self-harm, which may prove to be fatal for his optimum health and survival in the near future. Despite the absence of self-destructive suicidal behaviors, Harry also seems to engage in feelings of mistrust and paranoia, as evident from his consideration of his younger sibling as a potential threat to his health and fitness. Ironically, Harry is not devoid of familial support, as observed from the behaviors presented by his mother who not only seemed concerned, but also adequately aware of his detrimental mental health, further suspecting him to engage in drug abuse. As observed upon hospital admission, as well as reported by his mother, Harry presents fluctuating behaviors of being silent and sudden exhibition of violently aggressive behaviors, which may be as a result of his suspected drug abuse. Hence, a further detailed screening, examination and treatment plan is required, in order to identify extensively, the causative triggers pertaining to Harry’s conductance of drug abuse and violent attitudes. The activities and intervention strategies of the nurse are key factors pertaining to the provision of an adequate patient treatment plan. With regards to Harry, the nurse may be required to deliver appropriate anti-psychotic drugs, in order to reduce his symptoms of delusion. Concerning the patient’s tendency to engage in social isolation, there is need for adequate encouragement to partake in social interaction, where Harry will be allowed to express his underlying thoughts and insecurities. The nurse may intervene for the mitigation of suspected drug abuse through the usage of empathetic and considerate behaviours with the patient. The nurse may also activate encourage Harry to participate in group activities where he may gradually overcome his feelings of corporate social isolation and express his reasons for such activities, followed by an adequate imparting of education concerning the harmful health consequences of the same. For the intervention strategies of Harry’s aggressive behaviours, the nurse may engage in empathetic conversation following by allowing the patient to undertake inadequate self-care activities. However, more comprehensive screening and treatment plan may be required in order to identify the underlying causes behind Harry’s misconducted drug usage and aggressive behaviours. To conclude, the above report aimed to extensively and elaborately examine the case study of Harry, followed by an outlining of the necessary nursing intervention plans. 1. Brady, K. T., McCauley, J. L., & Back, S. E. (2015). Prescription opioid misuse, abuse, and treatment in the United States: an update. American Journal of Psychiatry, 173(1), 18-26. 2. Crespi, B. J. (2016). Oxytocin, testosterone, and human social cognition. Biological Reviews, 91(2), 390-408. 3. Gonçalves, J. P., Lucchetti, G., Menezes, P. R., & Vallada, H. (2015). Religious and spiritual interventions in mental health care: a systematic review and meta-analysis of randomized controlled clinical trials. Psychological medicine, 45(14), 2937-2949. 4. Heckemann, B., Zeller, A., Hahn, S., Dassen, T., Schols, J. M. G. A., & Halfens, R. J. G. (2015). The effect of aggression management training programmes for nursing staff and students working in an acute hospital setting. A narrative review of current literature. Nurse education today, 35(1), 212-219. 5. Price, O., Baker, J., Bee, P., Grundy, A., Scott, A., Butler, D., ... & Lovell, K. (2018). Patient perspectives on barriers and enablers to the use and effectiveness of de?escalation techniques for the management of violence and aggression in mental health settings. Journal of advanced nursing, 74(3), 614-625. 6. So, S. H., Peters, E. R., Kapur, S., & Garety, P. A. (2015). Changes in delusional dimensions and emotions over eight weeks of antipsychotic treatment in acute patients. Psychiatry research, 228(3), 393-398.